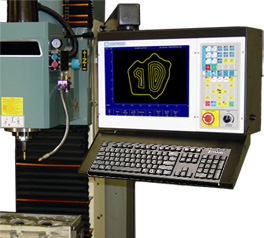 CENTROID CNC controls are designed by machinists for machinists. With a CENTROID you'll be able to get more work through the machine with less effort and less time. 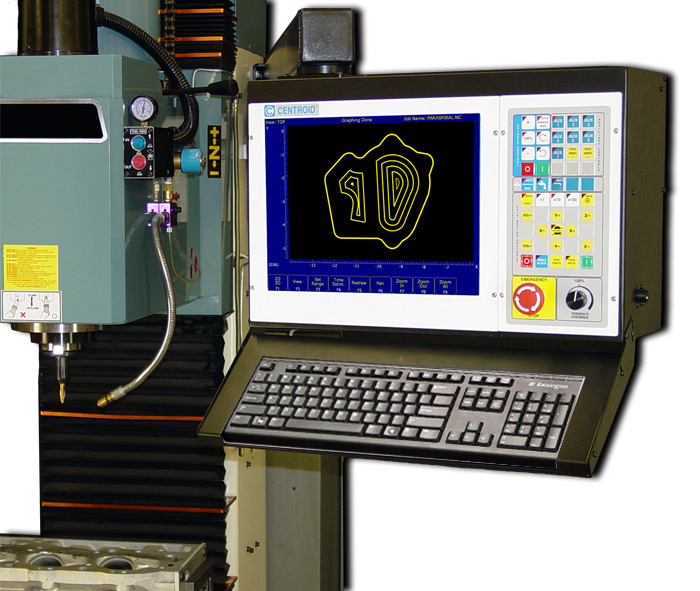 With our advanced CNC features you will be able to bring in higher paying jobs. User friendly operators interface with advanced features like: Conversational programming, Digitizing, Auto part set, Auto tool set, 3D contouring, 4th and 5th axis machining, Click here for more CNC control information and brochure download. Windows 7 operating system and solid state hard drives standard, touch screens available. Plus FREE Work Coordinate Systems, Subroutines and Macros, Compression Tapping, USB 2.0 ports, and four times larger standard file size for all CNC control sales and software upgrades. 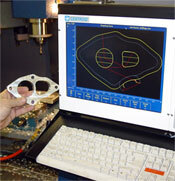 Optional Digitizing, Probing and Automatic tool measurement. CENTROID CNC controls ship from the factory completely assembled and tested ready to install on your particular machine tool. 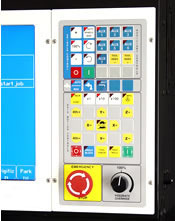 All the operator control buttons, the PLC ladder, motor wiring, even all the cables for Spindle, Coolant, Lube, and any other accessories are prewired, programmed, tested and ready to go. Designed for both new machinery and the Retrofit upgrade of existing NC/CNC machines. We have over 5000 servo CNC controls in operation worldwide. No one else has more experience retrofitting classic machine tools like: Bridgeport , Mori Seiki, Hardinge, Shizuoka, Prototrak to name a few. We STOCK common control configurations for immediate delivery! Now with Free USB 2.0 and Ethernet Port, Free Irregular Pocket cleanout! New M400 Brochure now available click here to download PDF. Machine parts not possible with other controls. Produce parts with a better surface finish. Bring in more work and bid on higher paying jobs. Stop and restart the job at any point. Stop, make any adjustments, and restart right where you left off. Toolpath Graphics show you the cutter path before & while running the job. On-the-fly override control of feeds and speeds. Useful Help Screens guide you through Setup and Programming. Large Color LCD display is easy to read. Run large part programs with no limitations. 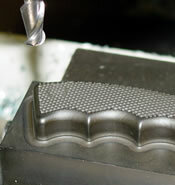 High Speed processing provides smooth machining, no gouging. Fast, smooth continuous tool motion, no hesitation or dwell. Fully sealed, coolant proof, long-lasting in shop environment. Indicator lights show the selection made. Convert geometry from DXF files to Centroid's Intercon operations. Supports contouring, pocketing, framing, drilling, boring, tapping, & threading. just fill in the dimensions. Even lines and arcs are canned cycles. A graph of the part shows your work as you go. Graph at any point. roughing and finish passes automatically. USB ports for use with any USB Storage device. 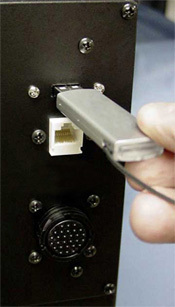 Quickly and easily load G code programs and DXF files into the control with a USB thumb drive. 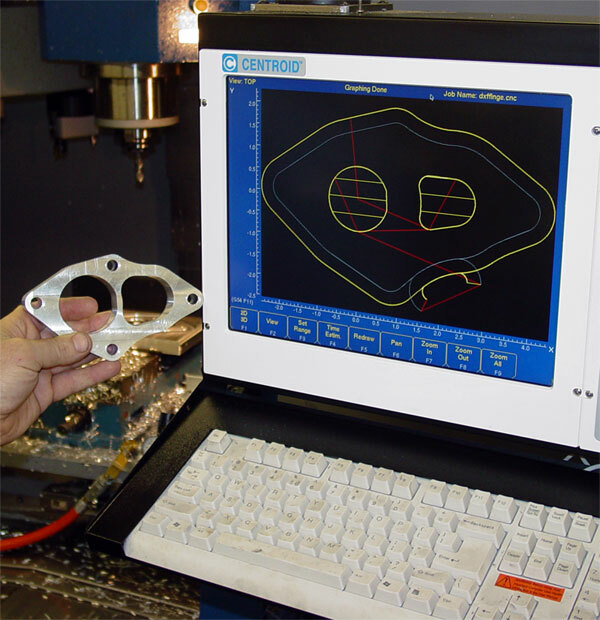 Downloading large G-code part programs generated from a CAD/CAM system is now fast and simple. The control automatically recognizes the USB thumb drive and a drive letter shows up on the load menu along with the built-in hard drive. You can even graph the G-code part programs directly from the USB thumb drive to identify the program you want before downloading into the control! USB drive support is a standard feature. Ethernet LAN connection, RS-232, and MPG connector are also standard features of the M400 CNC control. True simultaneous 5 axis CNC machining. 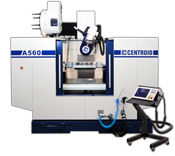 CENTROID High speed 5-axis machining centers are now available. Bostomatic style with modern day improvements. Fast, Smooth, consistent 5-axis motion. Great for medical, aerospace and any industry needing an affordable accurate made-in-usa 5-axis machining center that is easy to use. Complete packages available with training. X,Y,Z,A and B motion all at the same time or in any combination. 5 axis control systems are available separately for milling machines and CNC routers for new or retrofit applications. 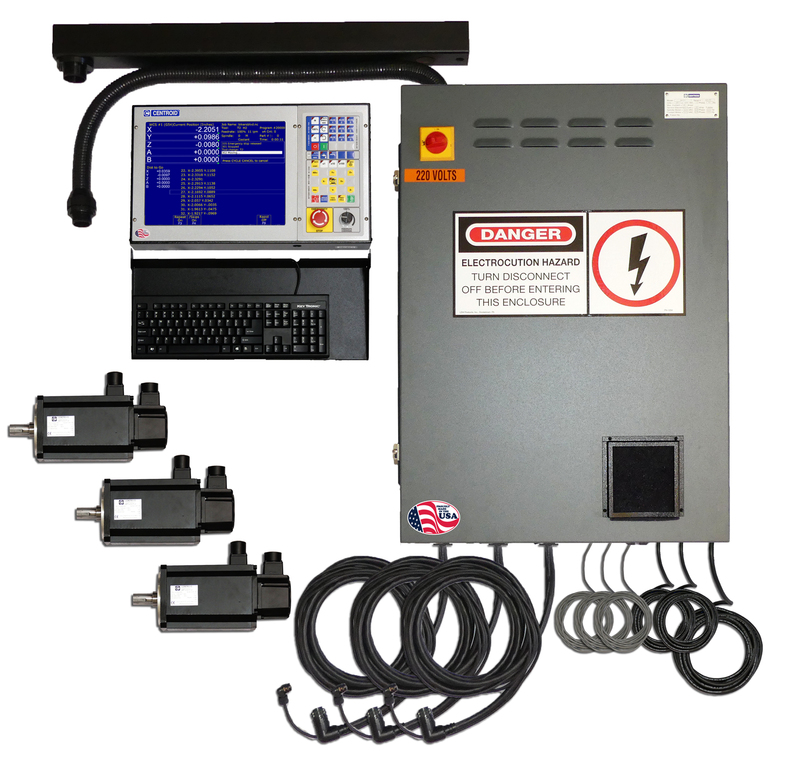 The CENTROID CNC control can operate a wide variety and types of tool changers. Umbrella type to Swing arm -- the Centroid provides fast repeatable tool changes. Automatic batch measurement is also available when used with our TT-1 Auto Tool Setter. Just highlight the tools you would like to measure and the batch feature will automatically retrieve, measure, and replace each tool automatically. Ready for delivery, our Rotary Table packages are very price competitive and include: servo motor, servo drive, 4th axis prewire cable, and 4th axis software. Available in AC or DC configurations. True 4th axis contouring and indexing.